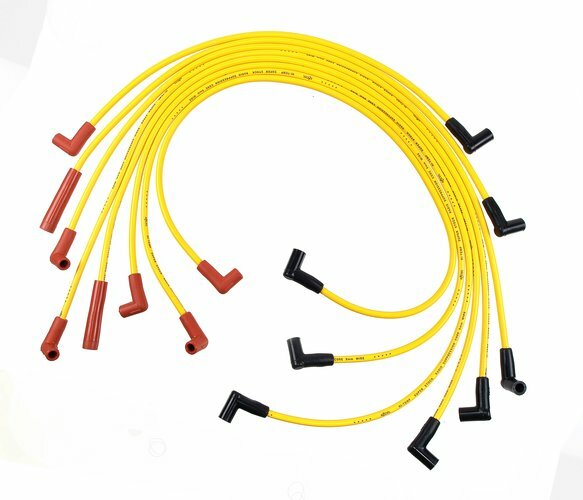 ACCEL's SuperStock 4000 series spark plug wire sets are designed to upgrade an OE ignition system for high-spark delivery levels for street driven applications. The 450 degree F rated silicone jacket is extruded over a tightly woven, rugged fiberglass braid. The braid is applied over high dielectric strength EPDM (Ethylene Propylene Diene Monomer) inner insulation for ignition wire performance that exceeds SAE specifications.